I can't believe I haven't done one of these Beauty Crave posts in awhile! That definitely has to change-starting now. With Fall just around the corner, I have been lusting over colors like rich reds, plums, and chocolate browns like mad. I love brights as much as the next, but I don't really mind putting those away for a bit, in exchange for the more deeper and sultrier hues. Here are a couple of items that I think would make great picks, to help kick off the Fall beauty season. 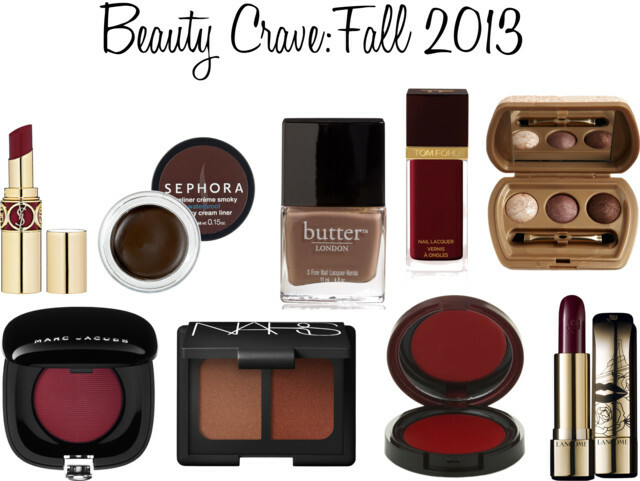 What's on your Fall beauty must-have list? Thank you! :) What products are you loving for the Fall?